Our biggest panel of the year, featuring buyers from Whole Foods, SFMOMA and more! This diverse panel representing local stores, online platforms, and larger markets will help product makers in all industries understand how buyers make purchasing decisions! Learn what we do and how we help manufacturing companies to succeed! All week leading up to National Manufacturing Day manufacturers across the country will be offering tours and activities to the general public. We’ll be working with key sponsor Manex to promote SFMade member events. Visit the schedule here. Special funding is available to offset most to all costs relating to this short-term, high-impact project. Manex’s Kaizen program is a phenomenal hands-on, onsite workshop to help improve your operation and production activities and often has immediate measurable ROI. To learn more about Kaizen, please contact Manex at (925)807-5101 or via email at [email protected]. 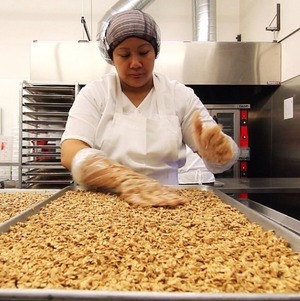 Last week we invited five different SFMade companies to take over our Instagram each day and demonstrate step-by-step how they make their products. If you weren’t following along, check out these great pics from Nana Joes Granola, Illadora Apparel, Lila B., Vanessa Gade Jewelry Design, and Gentlemen Scholar Signs. Back to our regularly scheduled Instagram programming now, which is still a whole lot of fun! There’s a new apparel factory in town and they’ve got a fresh style that applies to their business model and the samples hanging on their racks. The D.N.A. group began with the acquisition of a thirty-five year old lingerie manufacturing company in the heart of San Francisco, and is steadily growing to support and make product lines for emerging local designers. After finding his niche consulting for American manufacturing companies on the east coast, CEO Alex Snyder and his partner moved to San Francisco where they began consulting for Van Tisse, a lingerie brand that in its heyday counted customers like Saks Fifth Avenue and Neiman Marcus. The owner passed away leaving the company, its five employees, and a legacy to Alex. The new line— made in the brand new factory in the American Industrial Center— was just launched. D.N.A. 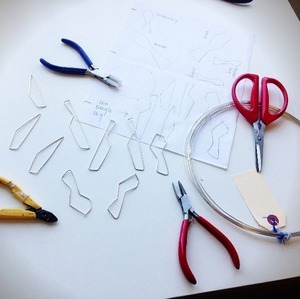 group is also working with beginning designers to help them establish a presence in the industry by assisting with product development, manufacturing, and brand management. “It’s a really exciting experience because we do everything in house, we do pattern making, sample making, and the production is by approval,” says Alex. “You might not produce with us, but we’ll make it very easy for you to walk into another manufacturer and just say I want it like this.” The company also offers boutique-like a la carte services including textile development, branding and graphics support. More info on the DNA Group here. 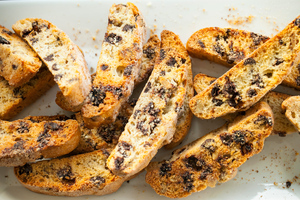 Product We Love: The original flavor biscotti, made with a recipe passed down from Marlo’s grandmother is a delightful mix of chocolate-covered raisins, toasted walnuts and dark chocolate chips. Packaged and sold in stores all around the country!